IQ beam pattern. 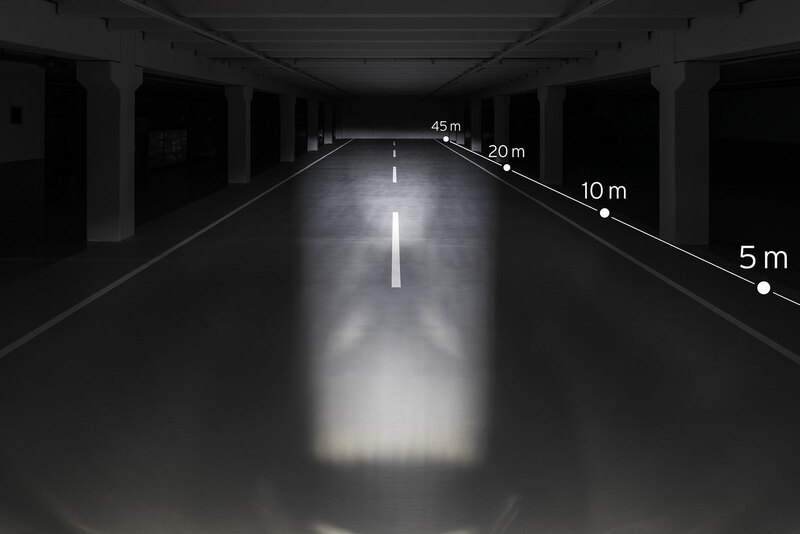 In High Power mode the high output LED shines extremely bright (40 Lux) out of the IQ reﬂector for up to 5 hours. In low power mode, 10 Lux is achieved – for 20 hours. Includes 4 rechargeable Ni-MH batteries, each 2100 mAh, no memory effect. Charging time is approx. 5 hours using charging unit. Power supply by 4 nonrechargeable AA batteries is possible. Easy mounting, convenient handling: The headlight can be removed from the bracket with one click.